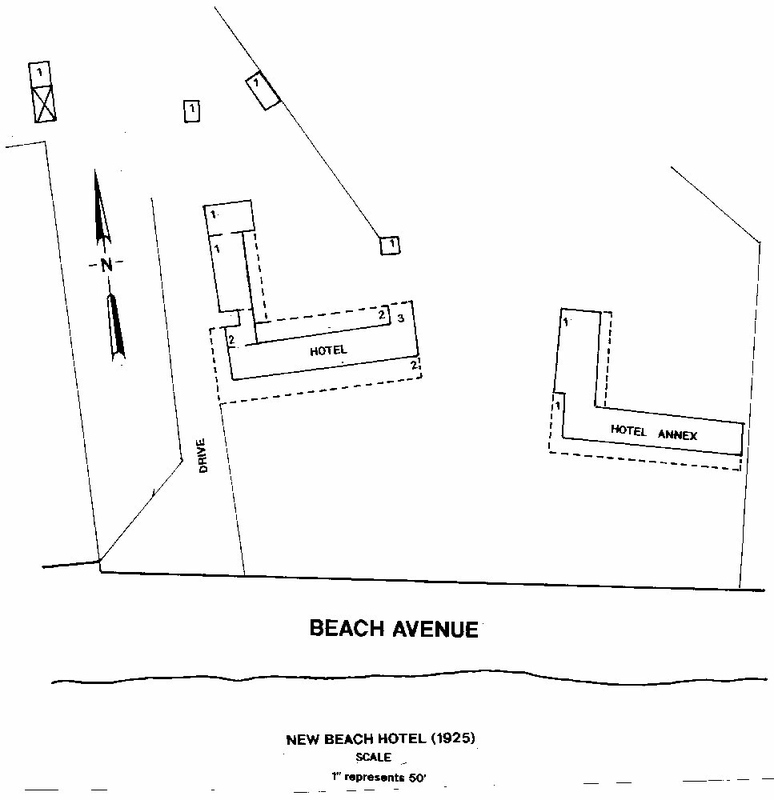 The New Beach Hotel was located on the front beach at Ocean Springs between Jackson Avenue and Washington Avenue. It sat on a multi-acre tract comprising Lots 1, 2, 8, 9, and part of Lot 7. The Fort Maurepas replication which was built in 1981 is situated approximately at the location of the former New Beach Hotel. The New Beach Hotel was an L-shaped, three story, wood framed building which faced the Bay of Biloxi. Extensive front and rear galleries graced the structure. The hostelry had a living area of approximately 7400 square feet, and the galleries provided about 2500 square feet of recreational area. There were thirty-two bedrooms and a dining room which were steam heated. Sanitary closets and bathrooms were available. The founder of the magnificent Beach-New Beach Hotel was Dr. Jasper J. Bland (1850-1932) a native of Deasonville in Yazoo County, Mississippi. Bland began his career in medicine as an apprentice to Dr. Wroten at Magnolia. He attended the University of Tennessee and graduated with valedictory honors in 1878. After practicing medicine at Pickens, Mississippi, Bland moved to New Orleans and at-tended the University of Louisiana, now Tulane. He received his state license in 1882. Dr. Bland went on to a distinguished medical career in South Louisiana initially serving the wealthy sugar planters and their households near Houma. Mr. Edwards made his livelihood as the proprietor of James D. Edwards Iron Works located at 22 to 34 South Front Street in New Orleans. This institution produced sugar machinery as well as copper, brass, and sheet iron work. Edwards employed a skilled work force numbering several hundred. Their machines were exported to Mexico, Cuba, and Central America. In addition, the firm was an agent for steam pumps, gauges, and locomotive and marine equipment. James D. Edwards died intestate on April 2, 1887 at New Orleans. In February 1899, Dr. Bland took a lease from the Edwards' heirs and opened a hostelry which he appropriately named the Beach Hotel. Lawrence Gautreaux, a seasoned hotel manager, was put in charge. Mr. Edwards made his livelihood as the proprietor of James D. Edwards Iron Works located at 22 to 34 South Front Street in New Orleans. This institution produced sugar machinery as well as copper, brass, and sheet iron work. Edwards employed a skilled work force numbering several hundred. Their machines were exported to Mexico, Cuba, and Central America. In addition, the firm was an agent for steam pumps, gauges, and locomotive and marine equipment. James D. Edwards died intestate on April 2, 1887 at New Orleans. In February 1899, Dr. Bland took a lease from the Edwards' heirs and opened a hostelry which he appropriately named the Beach Hotel. Lawrence Gautreaux, a seasoned hotel manager, was put in charge. By November 1899, manager Gautreaux had resigned from the Beach Hotel. Dr. Bland invited his brother, George Duncan Bland (1853-1915), who resided at Pelahatchie, Mississippi to Ocean Springs to oversee his seaside inn. Dr. Bland maintained his medical practice at New Orleans during the early years of the operation. On occasions, he and the family would come to Ocean Springs and occupy their cottage on the hotel grounds. In February 1901, George Bland quit the hotel and purchased the Roquett Place on Fort Bayou where he established a truck farm. Mrs. Kate Setton was appointed manager of the Beach Hotel in the summer of 1901. George Bland and his wife died within days of each other in late December 1915, from pneumonia. They were survived by six children. The Bland family which included young daughters, Agnes (1895-1979) and Mildred (1902-1987), moved to Ocean Springs from New Orleans in 1906. Dr. Bland became active in the social and political affairs of the community. In 1909, he endorsed a municipal bond issue for the benefit of the schools and improvement of streets and sidewalks. Dr. Bland was appointed to the School Board for one term in April 1910. He ran for Alderman from Ward 4 in 1914 losing to former mayor, John Duncan Minor (1863-1920). Daughter, Agnes, who was called "Missy" taught Latin and other higher grades at the Ocean Springs High School during the 1916-1917 school term. She was admired by her students and rated excellent by her peers. During the summer of 1917 she studied Spanish and advanced Latin at Tulane University in New Orleans. Agnes Bland married Urban Beh (1899-1990) in 1923. They resided at Los Angeles. Their children are: Jean Beh Beek (1925) and Richard Beh (1927). Mildred Bland married Harry Lucas (1901-1951) of Beaumont, Texas in 1926. Their children are: Harry Lucas, Jr. (b. 1932), and Philip Bland Lucas (1934-1987). A unique and desirable feature of the Beach Hotel was its pier which was constructed in May 1902. Later it would become the victim of the three hurricanes which struck Ocean Springs during Dr. Bland's ownership. In September 1908, Bland went to Biloxi to make arrangements for power boat service between the two cities. He also sought someone to manage the hotel restaurant. Dr. J.J. Bland started a force of men to work remodeling and greatly enlarging the hotel. When completed it will be not only large and roomy but modern in all appointments. The new structure will be fitted throughout with hot and cold water, electric lights, baths, etc. The building will be two and one-half stories high and fifty rooms. It is hoped to finish by opening of the summer season. Work on the structure was commenced by Fred Bradford, John Burr, George Dale, Charles Woodcock, Ed Simmons, and Reynoir Mon, and completed in June 1909. When opened, Dr. Bland called his new caravansary the New Beach Hotel. His workmen presented him with a silk umbrella on opening day. Modern improvement. Healthiest location on the coast. mineral water. Rates $10 to $15 per week. The Hurricane of September 1909 greeted Dr. Bland's newly opened inn unkindly, but no serious damage was incurred. The roaring surf created by the high wind washed the bluff in front of the structure and some of the brick steps were removed. The soil and shells were transported to the west and deposited in the marsh in front of the former Ocean Springs Hotel property. Access to the New Beach Hotel was made by a road in front of the structure. In July 1915, The Ocean Springs News reported that: "the road in front of the Beach Hotel is in a shocking state. It is impassable for automobiles, and tradesmen suffer delay in deliveries and damage to their rigs". Dr. Bland said that, "It is the duty of the town to fix the road. If the town does not, I certainly shan't. I would rather see the road abandoned entirely". In order to prevent the road from being washed away, it was necessary to build a small seawall. Since the seawall would cost about $25,000, Mayor W.T. Ames (1881-1969) declined to spend taxpayers dollars on the project which would benefit only three properties. The road problem would soon be solved by Nature. The Hurricane of late September 1915 was the worst on record. Large waves scoured the front of the New Beach Hotel removing forty feet of the terrain. The upper half of the stairs leading to the terrace were left suspended in mid-air as the bottom ones were destroyed by the boiling surf. A large sloop was deposited in the rear of the hotel. The July Storm of 1916 was relatively benign to beach front property. By late 1914, Bland now at retirement age, must have tired of the business, as a report in The Ocean Springs News indicated that the property was for sale. On October 24, 1914, that local journal related: Dr. J.J. Bland, proprietor of the New Beach Hotel, has sent out circular letters to many of the principal hotels of the country advertising his property for sale. The hotel is new, modern, and sanitary in every respect. It has thirty two bedrooms, with large halls, dining room, and outbuildings, is steam heated and fitted with sanitary closets, bath rooms, etc. It is located on the beach and in close proximity to the business part of town, and has large grounds with a grove of fine pecan trees. At present the hotel is leased at a good rental, but possession can be given after May 15, 1915. Mrs. Bridget E. White (1860-1943), the daughter of Maria Shanahan (1826-1909), was the lessee. 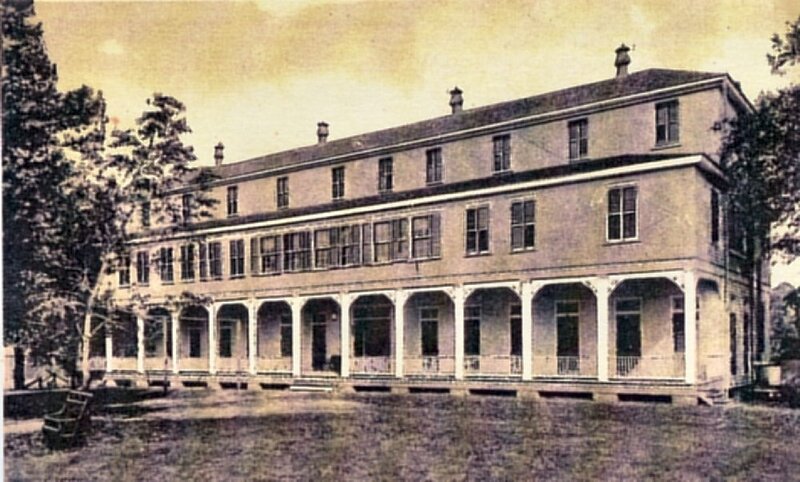 She had worked with her mother at the Shanahan House and Frye Hotel on Washington Avenue, and managed the Ocean Springs Hotel in 1904. Once Mrs. White owned a private hotel at New Orleans. Her experience in the hostelry business was unsurpassed in the city of Ocean Springs. family rates. Write for booklet. (January 6, 1916, p. 5, c. 4). From newspaper articles of that day, it appears the New Beach Hotel was closed for approximately four years from some time in 1916 to late November 1920, when it was reopened by J.C. Joiner of Grove Hill, Alabama. Joiner was heralded as an experienced and competent hotelman. Dr. J.J. Bland, in anticipation of resuming his medical practice in Louisiana, attended the Louisiana State Medical Association Convention at New Orleans in April 1918. He relocated to Vinton, Louisiana and was practicing medicine there in 1920. On occasions, Mrs. Bland would visit Ocean Springs to see her friends. Dr. Bland passed away at Beaumont, Texas on March 30, 1932. His exemplary career as a pioneer in the field of modern medicine spanned fifty years during which his reputation as a surgeon, yellow fever, and influenza authority was lauded in Louisiana and Texas. These women may have been members of the Roman Catholic Holy Order known as the Cabrini Sisters. 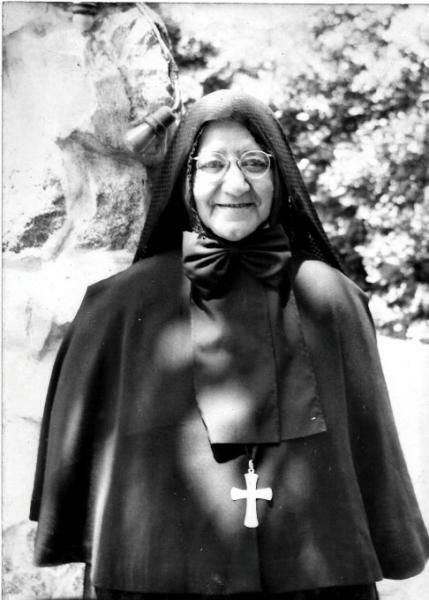 Clothilde Lombarde (d. March 6, 1934) was also known as Mother Josephine Lombardi. Angela Patelli (d. April 2, 1945) called herself, Sister Emerenziana Patelli. Erminia de Giovanni bequeathed the property to Teresa Alice of Angelo who died in New York in January 1950. She legated the real estate to the Missionary Sisters of the Sacred Heart, a Louisiana corporation. The Jackson County Times of April 30, 1921 ran an article stating that the New Beach Hotel had been bought by the Grunewald Hotel Company. In addition the following comments were made: This property has been idle for several years past and it is a fortunate circumstance for Ocean Springs that it has fallen into the hands of the Grunewald Hotel Company for it means that the hotel will be improved, modernized, and fitted up in an up-to-date style and conducted in a manner fitting such a hotel, by people who thoroughly understand the hotel business. Apparently this announcement was in error as the Cabrini Sisters took possession of the New Beach Hotel, and utilized the structure as a summer orphanage. It was later used as a convalescent home for the elderly of their Holy Order. When the Mother General of the Order decided to send the retired sisters to other areas of the country, the building was vacated and became a haven for derelicts, transients, and drug addicts. The city government of Ocean Springs requested the Order to have security for the building or remove it. The Sisters elected demolition and the structure was torn down in the summer of 1971 by Clarence Galle (1912-1986). In March 1971, a group of citizens organized at Ocean Springs to promote an interest in historical events of the past, present, and future of the Ocean Springs, Mississippi area. This association was called the 1699 Historical Committee. The 1699 Historical Committee is responsible for the annual Iberville Landing Commemoration (April), seeks to have the Fort Maurepas marker returned from the Cabildo, and was instrumental in the Fort Maurepas replication. In 1973, the 1699 Historical Committee, State Representative Marby R. Penton (1922-1995), and Secretary of State Heber Ladner (1902-1989) saw their years of work come to fruition when the Mississippi Legislature passed House Bill No. 1361 which appropriated $300,000 to "purchase land for the location of the Fort Maurepas historical site, provided that said site is entered in the National Register of Historical Places". In the same year, archeologists from the Mississippi Department of Archives and History began a survey to locate the site of Fort Maurepas. Most of their efforts were concentrated in the Lover's Lane area of west Ocean Springs. Although some trenching was done, conclusive evidence for the structure was never discovered. One theory why the fort was not found was that the scientists were not allowed to explore a particular location (Poitevent) where cartographic and surface evidence indicated the fort to be situated. Others believe the original site of Fort Maurepas on the high bluff at Fort Point was eroded long ago by wave action and violent storms. The Gulf Regional Planning Commission released its study titled, "Reconstruction of Fort Maurepas", also in 1973. This detailed study dealt with the history and significance of Fort Maurepas, and the costs to acquire land and build an historically accurate replica. Eventually, he enlarged the structure to three stories renaming it the New Beach Hotel in 1909. By 1921, the Missionary Sisters of the Sacred Heart were occupying the site utilizing it as a summer orphanage. It later became their retirement home. Hurricane Camille damaged the structure in 1969, and it was torn down by Clarence Galle in 1971. The Missionary Sisters sold the tract to the Richelle Corporation of Metairie, Louisiana in February 1974 (Jackson County Deed Book 448, p. 546). Richelle planned to develop the property as the Twin Bluff Condominiums, but were foreclosed on and sued by the First National Bank of Jackson County (Chancery Court Case No. 29,412). The Bank was awarded the land, which they sold to the State on March 1, 1976 (Jackson County Deed Book 554, pp. 644-645). The other contiguous parcel of about two acres was sold by the Missionary Sisters to Donald M. Bradburn in September 1975. Bradburn later conveyed to the Ocean Springs Yacht Club who sold to the State on February 16, 1976. (Jackson County Deed Book 543, p. 387 and Book 554, pp. 646-647). In 1979, the State Legislature appropriated $350,000 for the construction of the Fort Maurepas replica. Fred Wagner of Bay St. Louis was named project architect and the New Orleans firm of Koch & Wilson associate architects. In September 1980, the State Building Commission awarded a contract for $273,000 to the Carter & Mullins Construction Company of Columbia. House Bill No. 1296 (March 1981) allowed for $950,000 in Federal revenue sharing funds to complete Fort Maurepas. The first phase of construction was completed in August or September of 1981. It consisted of an exterior stockade (154 feet x 154 feet) constructed of single, treated pine post about eight feet tall. The square enclosure encompasses an area of about .54 acres. The southeast corner of the Fort Maurepas replica is a blockhouse or bastion (Royal Bastion). It is triangular in plan about twenty feet tall and served as the Governor's House and cannon fortification. No other bastion was commenced. The only portion of the inner palisade completed is a twenty eight-foot section, which runs west of the Royal Bastion and includes the main gate (seven feet wide). This wall is approximately twelve feet tall and is built triple log thick. No interior buildings have been constructed, i.e. soldier's lodges, bakery, or general warehouse. Unfortunately in 1982 and 1983 the Mississippi Budget Commission took measures to avert State budget deficits. With a deficit of $85 million facing them in 1983, the Commission approved a $9 million cut in agency appropriations, which included $900,000 for the completion of Fort Maurepas. Since this time State and Federal funds for the completion of Fort Maurepas had been suspended indefinitely. With the State of Mississippi apparently not financially capable of committing funds to complete the Fort Maurepas project, it was felt that if the City of Ocean Springs got title to the property something might be done to accomplish this goal. By February 1991, under the leadership of District 113 Representative, Alvin Endt, the House voted to transfer the title to the City of Ocean Springs. After Senate approval and Governor Ray Mabus's signature, Mayor Kevin Alves on April 25, 1991, received the quitclaim deed to the two tracts containing the Fort Maurepas Reconstruction from the State of Mississippi by the Department of Archives and History and Department of Wildlife, Fisheries, and Parks. The State of Mississippi retained all mineral rights and stipulated that the city maintain the fort as a historic site and include in its annual budget sufficient funds to maintain the structure. (Jackson County Deed Book 975, pp. 113-117). A ceremony was held at the Fort Maurepas replica on July 21, 1991 where Mayor Kevin Alves accepted the title to Fort Maurepas from Archives and History representative, Elbert R. Hilliard. U.S. Representative Gene Taylor addressed the group and said that the fort was "worthwhile to the preservation of our heritage", and pledged his support on seeing the replica completed. On August 20, 1991, the Environmental Concerns Committee of the Greater Ocean Springs Chamber of Commerce proposed to the City of Ocean Springs that the marsh, wetlands, contiguous upland and wooded habitats which were adjacent to Fort Maurepas be declared an "inner city" nature preserve. The City Council accepted the proposal, which additionally provided for the protection, management, and development of a natural history program for the area. Discouragement of activities which might degrade the aesthetics, biological, scientific, or educational value of the area surrounding Fort Maurepas was another goal. (Minutes of the City of Ocean Springs, Mississippi (8-20-1991), pp. 582-583). 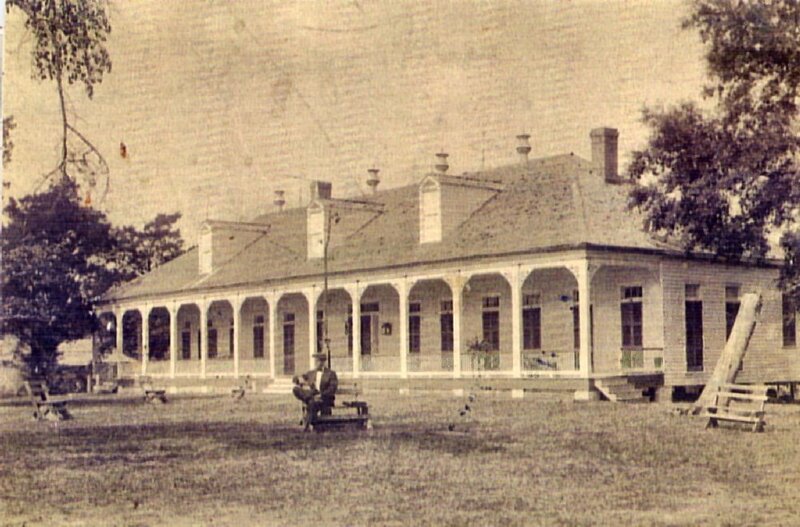 On June 10, 1992, an organizational meeting was held at the Ocean Springs City Hall to form the Fort Maurepas Society. The purpose of this group is to outfit, maintain, and complete the construction of Fort Maurepas. 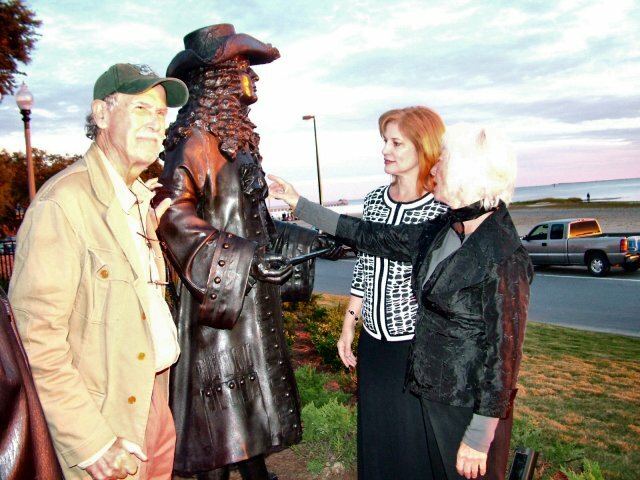 After a slow first year, the Fort Maurepas Society is progressing and plans to present the citizens of Ocean Springs with some interesting programs commencing this fall. They tell me that "a few good men" will be coming from Fort Toulouse in October. Be there! After the formation of the Fort Maurepas Society, the Fort Maurepas replica became the site of annual reenactments for about ten years. In the spring of 1992, Commandant Ray L. Bellande went to the Fort Toulouse replica at the Fort Toulouse-Jackson Park near Wetumpka, Alabama and invited the French Colonial animators there to participate in the first reenactment at Fort Maurepas, which was held in early October 1993. Ray L. Bellande, "Fort Maurepas (1699-1702), A Reconstructed French Colonial Fort", (unpublished essay - 1992). C.E. Schmidt, Ocean Springs French Beachhead, (Lewis Printing Services: Pascagoula - 1972), pp. 79-80. The City of New Orleans-The Book of the Chamber of Commerce and Industry of Louisiana and Other Public Bodies of the "Crescent City", (George W. Engelbardt: New Orleans-1894), p. 138. Chancery Court of Jackson County, Mississippi Cause No. 22, 803, “Missionary Sisters of the Sacred Heart, a Louisiana Corporation v. The Unknown Heirs of Erminia de Giovanni, deceased, and the unknown heirs at law of Teresa Alice of Angelo, deceased”, filed March 26, 1971. (see Jackson County Deed Book 398, pp. 230-233). The Beaumont Enterprise, "Late Dr. Jasper J. Bland Won Dinstinction Combating Yellow Fever in Louisiana", April 1932. The Biloxi Daily Herald, "City News", September 1, 1908, p. 1. The Jackson County Times, Local and Personal, February 24, 1917. The Jackson County Times, Local and Personal, May 26, 1917. The Jackson County Times, Local and Personal, June 9, 1917. The Jackson County Times, Local and Personal, April 20, 1918. The Jackson County Times, Local and Personal, June 12, 1920. The Jackson County Times, Local and Personal, November 13, 1920. The Jackson County Times, Local and Personal, April 30, 1921. The Jackson County Times, Local and Personal, October 3, 1925. The New Orleans Daily Picayune, June 13, 1901. The Ocean Springs News, March 27, 1909, p. 5. The Ocean Springs News, June 26, 1909, p. 5. The Ocean Springs News, September 4, 1909, p. 1. The Ocean Springs News, "Hurricane Sweeps the Gulf Coast", September 25, 1909, p. 1. The Ocean Springs News, "Local New", April 9, 1910. The Ocean Springs News, May 30, 1914, p. 1. The Ocean Springs News, October 24, 1914, p. 5. The Ocean Springs News,"Unable To Build Seawall", July 22, 1915, p. 1. The Ocean Springs News, "Ocean Springs Rides Out 90 Mile Hurricane", October 7, 1915, p. 1 and p. 6. The Ocean Springs News, "Laid To Rest Within A Week", December 30, 1915, p. 1. The Ocean Springs News, "Ocean Springs Storm Loss Small", July 13, 1916, p. 1. The Ocean Springs Record, August 19, 1971, p. 17. The Pascagoula Democratic-Star, "Ocean Springs Locals", February 17, 1899. The Pascagoula Democratic-Star, "Ocean Springs Locals", November 24, 1899. The Pascagoula Democratic-Star, "Ocean Springs Locals", February 8, 1901. The Pascagoula Democratic-Star, "Ocean Springs Locals", May 30, 1902. The Pascagoula Democratic-Star, "Ocean Springs Locals", August 8, 1903. Sanborn Map Co. (New York), "Ocean Springs, Mississippi", (1909)-Sheet 1, and (1925)-Sheet 2 Sanborn Map Co. (New York), "Ocean Springs, Mississippi", (1925)-Sheet 2. Courtesy of Katherine Hamilton-Smith, Curator, Special Collections, at the Curt Teich Postcard Archives, Wauconda, Illinois. US Census-Jackson County, Mississippi (1900 and 1910). Frank Bryan - October 1990.